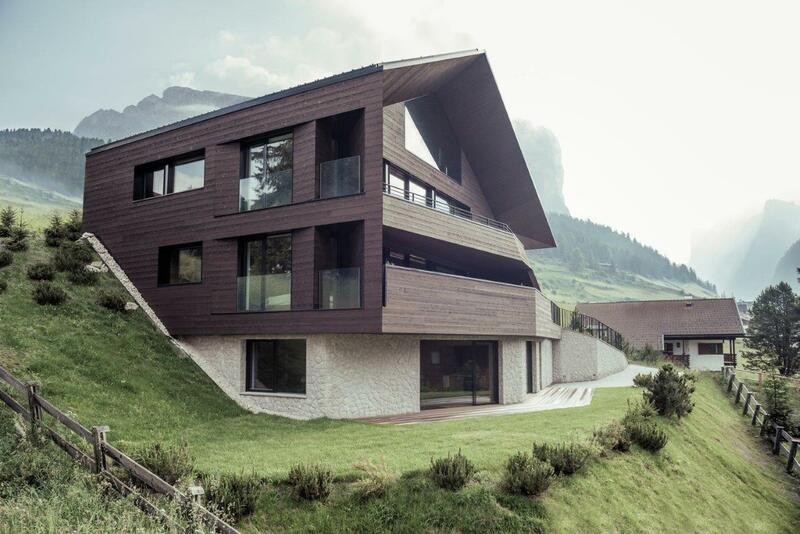 In Selva Val Gardena, a house with particular architectural language has been designed by the Architect Office Perathoner Architects, 1,563 meters above sea level, nestled among the majestic peaks of the Dolomites, natural UNESCO heritage. It is located in the middle of a unique landscape and offers an exceptional view of the Sella massif. The aesthetics of the entire building has a modernist flavor with clean lines, while retaining the echoes of architectural traditions with the use of traditional local materials such as stone and wood. The initial goal of the project was the search of the better integration of the building into the surrounding environment of the natural alpine landscape. The steep slope of the terrain suggested to extend the building on four floors, with the first two levels partially underground, presenting a smaller face on the north side, while on the south side the main front opens with large windows. 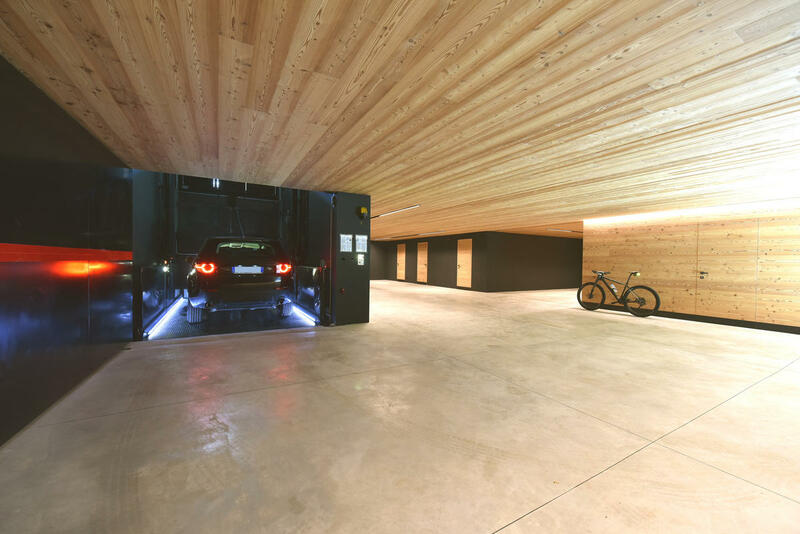 The building includes three separate living units and a large underground garage accessed by an invisible car lift. The attic, open to the striking view of the landscape, is the favorite room of the house and points to a continuous return of looks and perspectives between inside and outside. 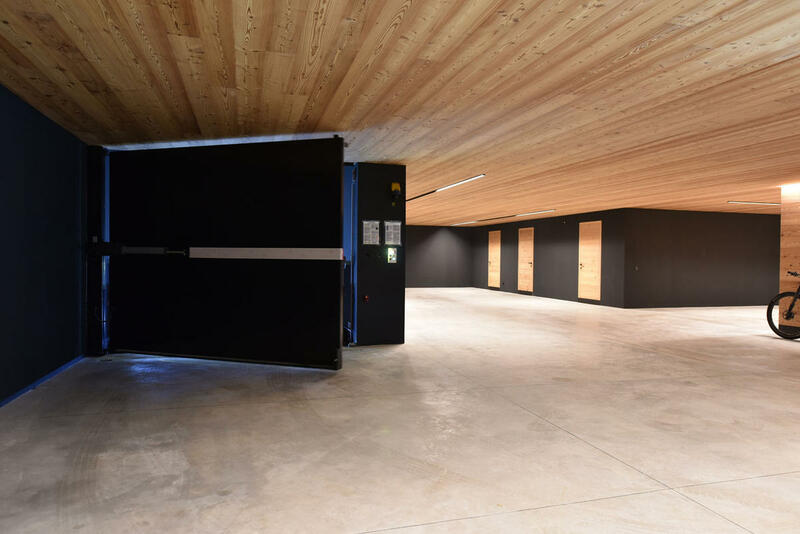 The building was built according to the criteria of energy-efficient buildings with the Certification “Casa Clima Nature” in full compliance with the environmental sustainability of the used materials. The building is located on a slope with little surrounding space. 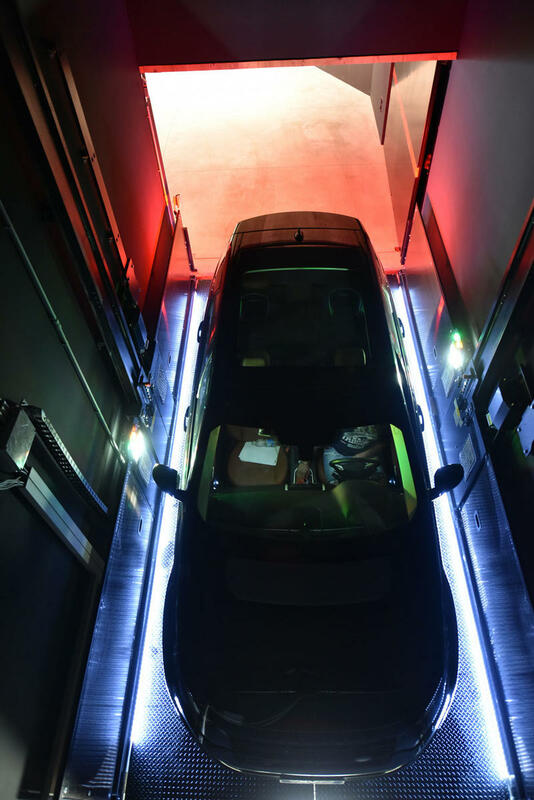 Exactly for this reason and to avoid an unsightly ramp, designers have decided to install a hidden car lift. 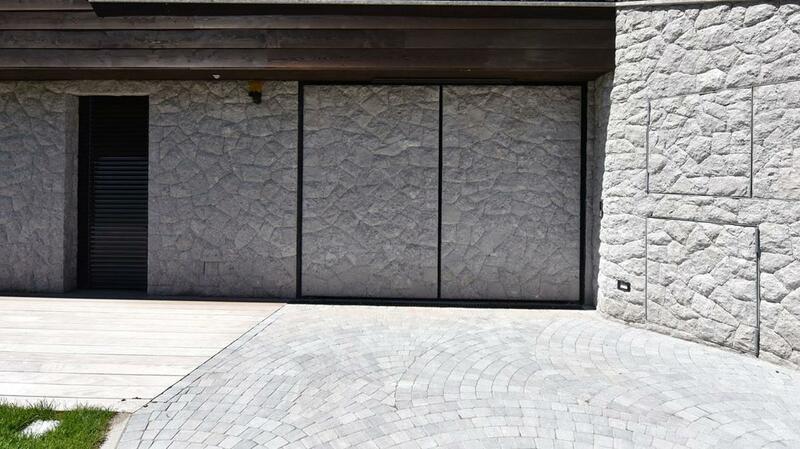 The door to access the car elevator and the whole ground floor facade were covered by natural stone to reduce the visual impact. 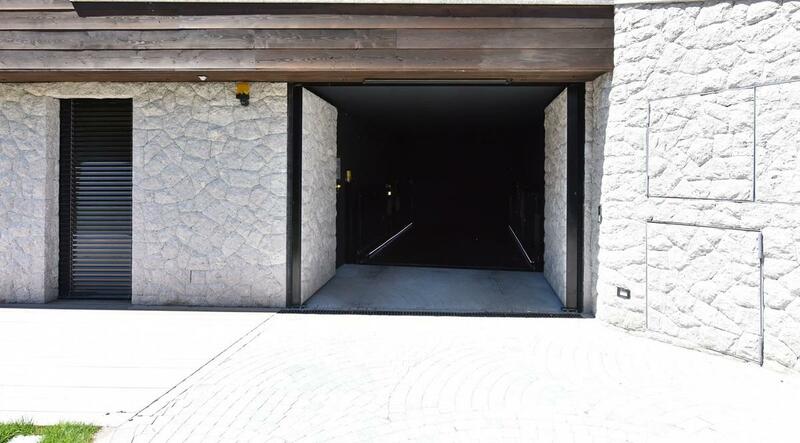 Inside there is a second retractable motorized gate that ensures security when the platform is on the lower level. 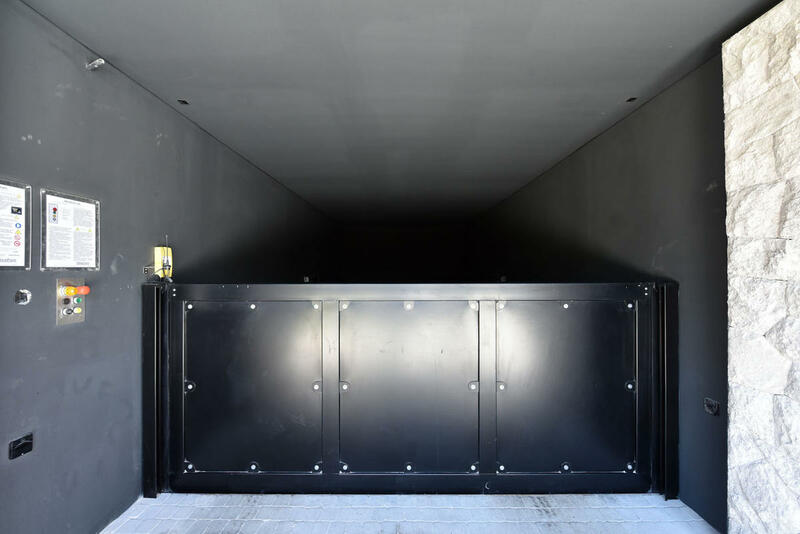 The two closures improve not only aesthetics but also the thermal containment, given that temperatures in this mountain area in winter season become very low. 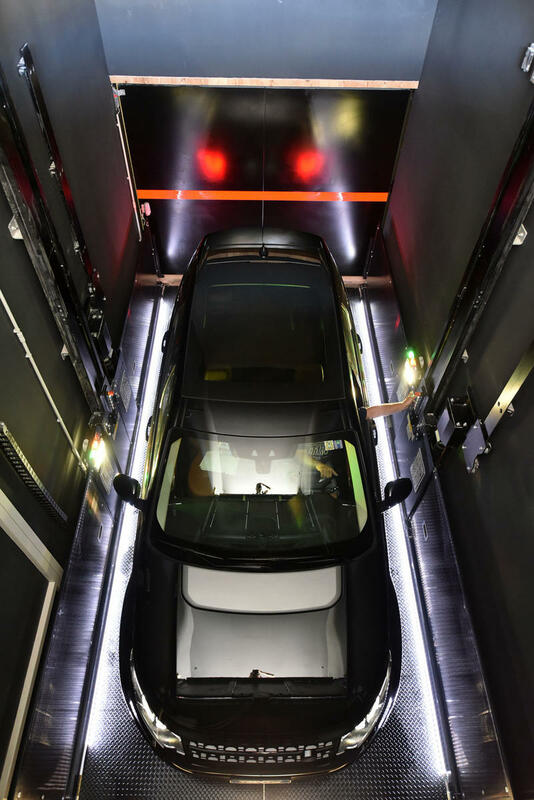 The car lift chosen for this house is the model IP1-HMT V.07, with IMQ man carrying certification. The travel is 3.260mm, the platform size is 2.600x5.600mm and the capacity is 2,700 kg. 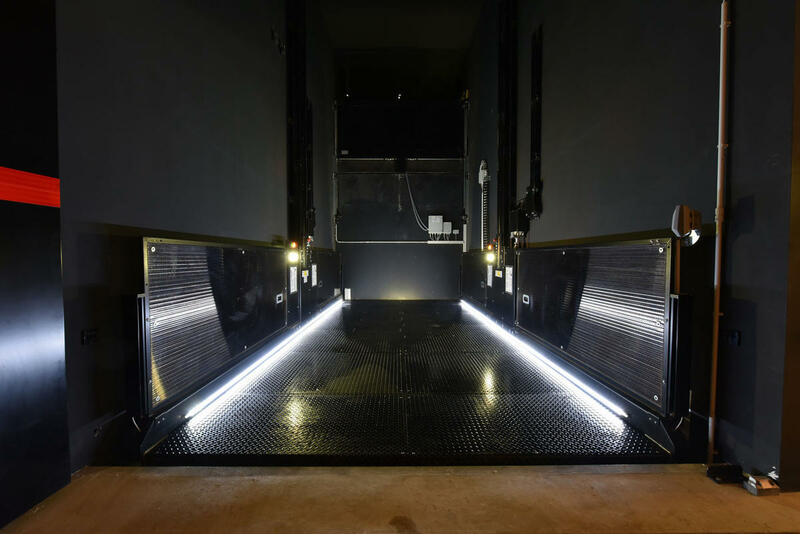 Equipped with LED white lights on board, the plant was painted with TRIPLEX® treatment, RAL 9004, an advanced technology that creates the most complete and effective protection for the steel. 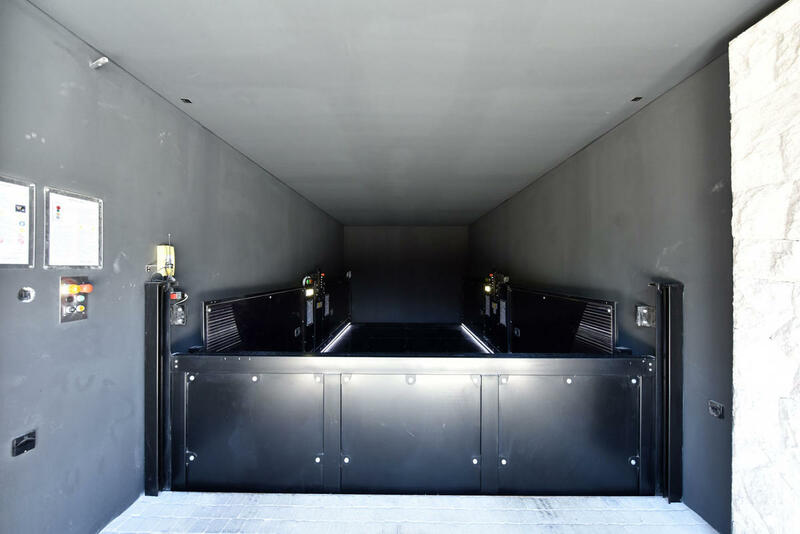 This system combines the hot dip galvanizing with powder coating process, with a series of intermediate treatments that prepare the surface to better adhere. The TRIPLEX® system can be used with a range of infinite colors and tones to adapt to the surrounding aesthetics. 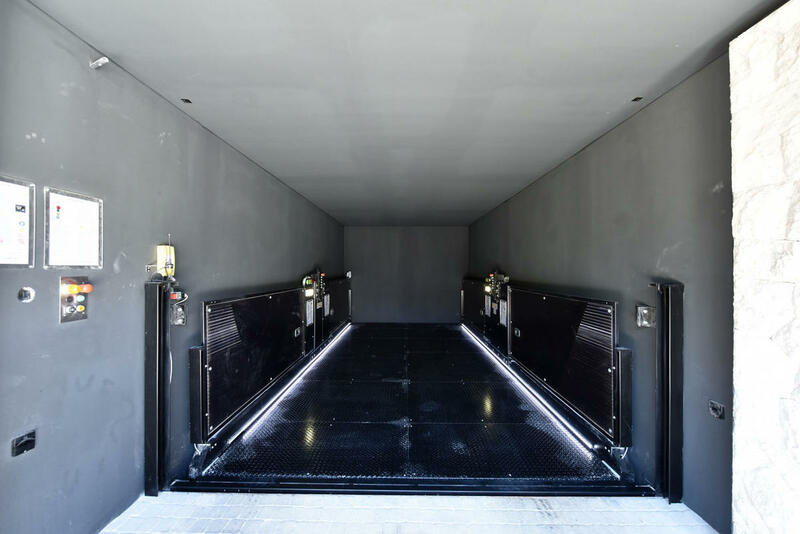 The shaft of the car lifts was painted black, like the elevator. The plant is designed to ensure operation even in environments with extremely cold temperatures, through the use of special probes and heating oils. 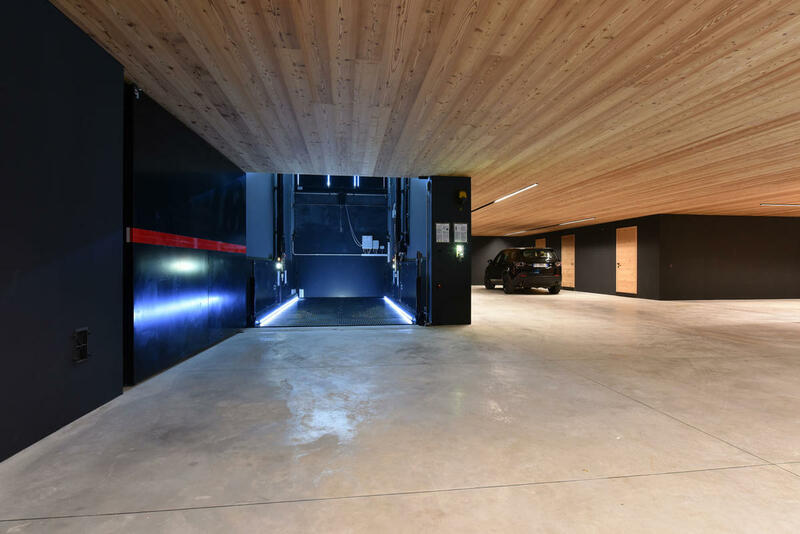 The floor is a light gray industrial floor and the ceiling is made of brushed larch wood, specially treated to make it fire resistant.